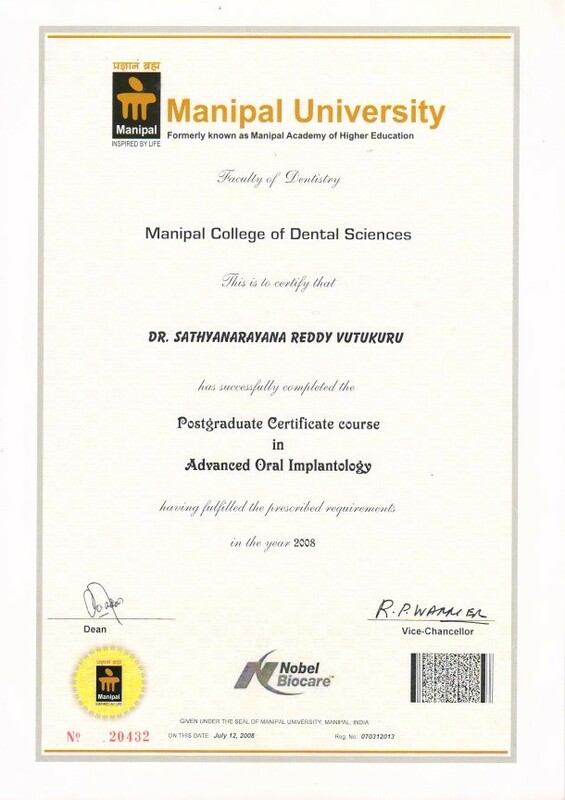 Dr.Sathya's™ Dental Care & Implant Centre is headed by Dr.Sathya who has vast experience in Dental Implants. 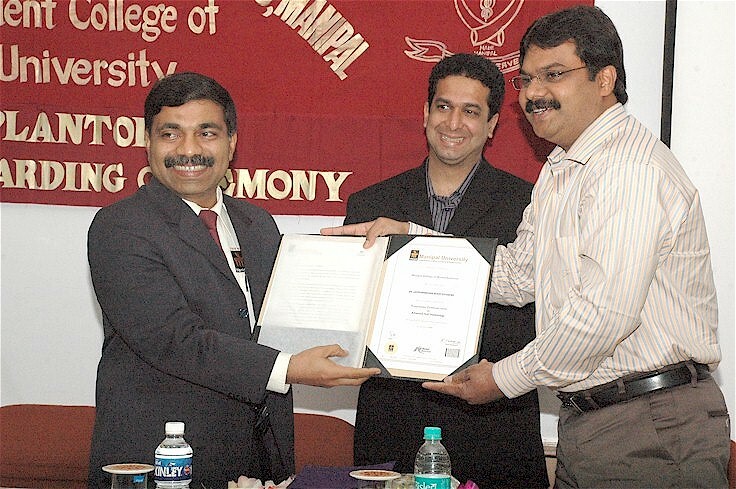 He had completed his Post Graduate Certificate Course in Advanced Oral Implantology from Manipal University which is supported by Nobel Biocare by providing National and International faculty. 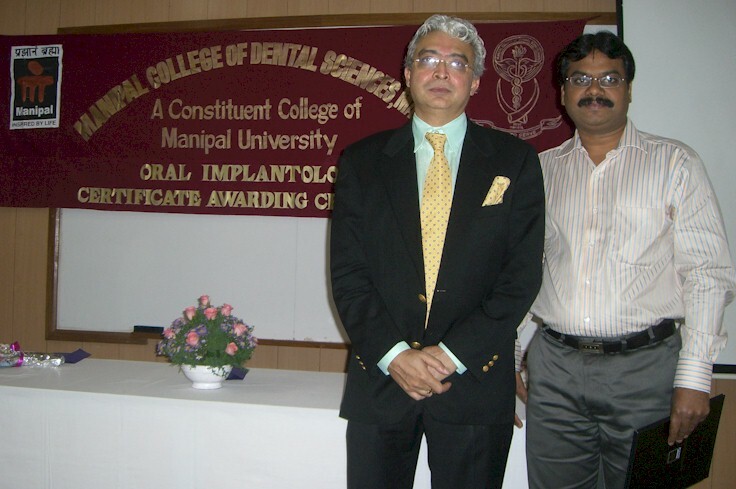 He is member of Indian academy of Osseointegration which is affilited with International Congress Of Oral Implantologist. He is a Nobel Smile member. 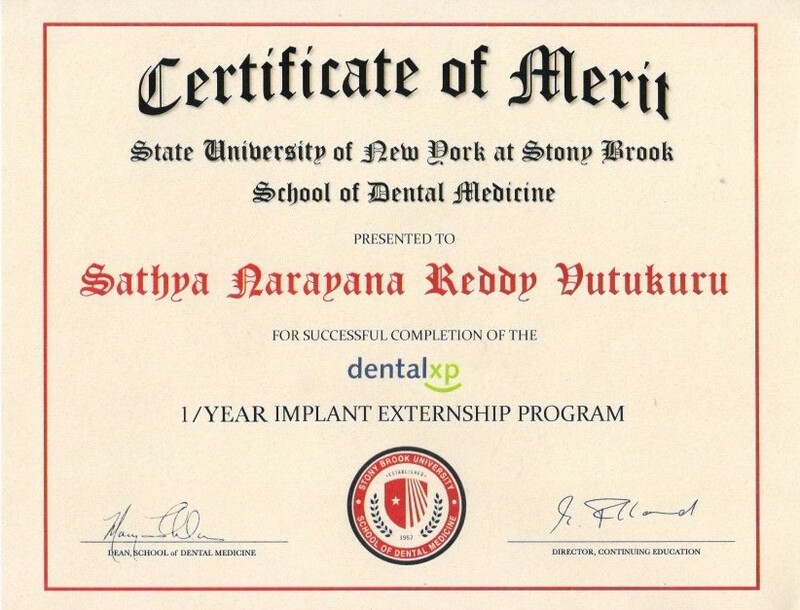 Dr.Sathya has completed his Clinical Mastership In Implant Dentistry from State University of New York at Stony Brook School Of Dental Medicine,USA. 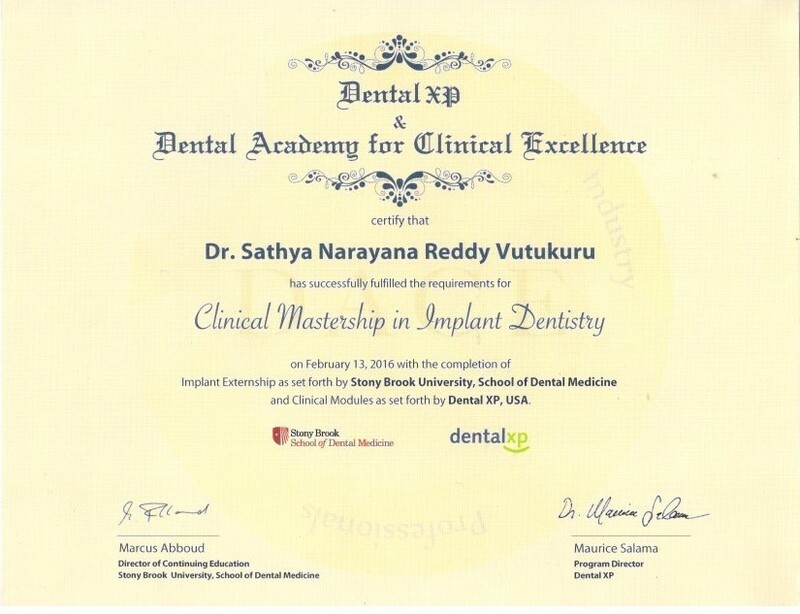 He has been trained by Worlds top Dental Implant Specialists from Dental XP. USA. A dental implant is an artificial tooth root that an oral Implantologist places into your jaw to hold a replacement tooth or bridge. Dental implants are an ideal option for people in good general oral health who have lost a tooth or teeth due to an injury, or any other reasons. Dental implants are so natural-looking and feeling; you may forget you ever lost a tooth. You know that your confidence about your teeth affects how you feel about yourself, both personally and professionally. Perhaps you hide your smile because of spaces from missing teeth. Maybe your dentures don't feel secure. Perhaps you have difficulty chewing. If you are missing one or more teeth and would like to smile, speak and eat again with comfort and confidence, there is good news! Dental implants are teeth that can look and feel just like your own! Under proper conditions, such as placement by an oral Implantologist and diligent patient maintenance, implants can last a lifetime. Long-term studies continue to show improving success rates for implants. Dental implants are intimately connected with the gum tissues and underlying bone in the mouth. Since oral implantologists are the dental experts who specialize in precisely these areas, they are ideal members of your dental implant team. They have experience working with other dental professionals, they also have the special knowledge, training and facilities that you need to have teeth that look and feel just like your own. We at Dr.Sathya's™ Dental Care & Implant Centre will work together to make your dreams come true. As we do have all the dental specialties under one roof, we believe we do to the best for you to smile with confidence. Depending on your specific condition and the type of implant chosen, we will create a treatment plan tailored to meet your needs. After treatment, your oral implantologist will work closely with you and your dentist to develop the best care plan for you. Periodic follow-up visits will be scheduled to monitor your implant, teeth and gums to make sure they are healthy.